Is it a glove? Is it a mitten? It’s Guide Finger by Black Diamond! Providing the warmth of a mitten, yet the split-finger design delivers the ease in dexterity of a glove. 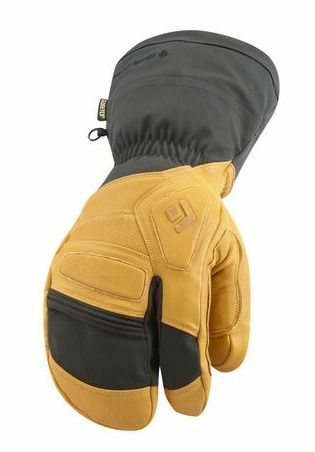 It’s all about layering and warmth with this item: 100% waterproof insert; large gauntlet to keep the snow out; removable insulated liner; goat leather durability in the palm; and foam padding on the knuckles for added protection. A versatile winter glove-mitten hybrid.